There is no remnant force between the virtual particles in QED. The search is terminated. 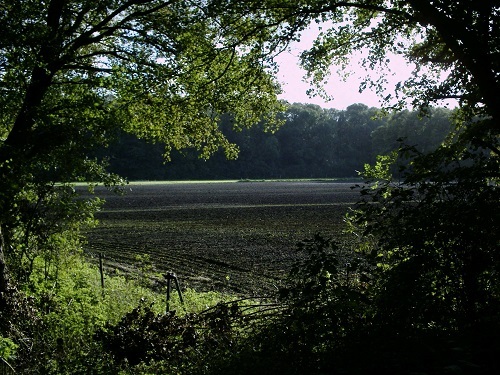 Instead at this page I try to lay a foundation on the Higgs field that prof. G. 't Hooft et al. so desperately needs in their renormalization theories. The photon is composed of an electron and a positron massless coinciding. The lepton vacuum is a Bose condensate of photons, yielding its own kind of gravitational field. Photons can be emitted in pairs. This is the sequel of EXPANSION OF THE UNIVERSE, page 2, paragraph Massless coinciding. As said at that page, when an electron and a positron coincide within their time borders, at the Earth surface a distance of about 10^-20 m, the electron absorbs Higgs field from the vacuum and the positron, inside its time border, emits Higgs field at the same rate. Therefore when the electron and the positron are within their time borders, the composite does not absorb nor emit Higgs particles and is massless and has zero gravitational field. We are going to take this as the photon. When an electron in an atom emits a photon, where the positron is coming from? Inside each electron, according to QED renormalization theory, there is a superposition of a horde of electron-positron pairs shielding the “naked” core. The building up of shielding makes the naked core to approach infinite charge and zero mass. One of such pairs from the shield may sufficiently coincide and form a photon and leave the electron. Mind the e- e+ pairs are superpositions relative to each other. They don't see each other. They don't form a cloud of e- e+ pairs. Besides, there are infinite of them. They won't miss a pair. Since the two particles have no mass as composite, they immediately gain lightspeed. They force each other along the same path, because the slightest separation (10^-20 m) would separate the forward and backward vacuums and then the electron and positron would get mass, for which the energy is lacking. In accepted physics, an electron and a positron that approach each other too near, will annihilate each other into two gamma photons. However, when the e- and e+ coincide massless as described above, time dilation immediately is at maximum, so time is standing still on the pair. There is no need to fear for annihilation, there is no time for that. Besides, to what they should annihilate? When coinciding massless they already are a photon! They try to approach each other in order to annihilate, but before they can do so they become a massless pair, a photon. Well, I guess, this is the annihilation! Normally, to maintain composition the spin of the particles best align and as soon as they gained lightspeed they stay aligned. But wait, since they will force each other along the same path, spin alignment is no longer needed. This changes situation. Normally electron positron pairs appear with as much as possible quantum numbers being opposite: charge, elapse of time and spin. So the appearing electron positron pair sets out as opposite spin particles. Spin electron + spin positron = 1/2 -1/2 = 0, so why a spin 0 photon shouldn't form? I think they do. But we observe no spin 0 photons. Where did they go? Since QUATERNION GRAVITATION page 2 the usual habit seems to be, when we need in our theory a particle at ground state - our first choice in bringing it to existence - and we don't find it in the real world around us, we dump it in the vacuum as a Bose Einstein condensate vacuum field. So we do now. We presume a spin 0 electron positron pair vacuum field, a spin 0 photon vacuum field, to cover entire spacetime and thus form the Higgs field as Paul Dirac originally created it (well, he constructed an electron sea, with a positron as a hole in the sea, and he didn't talk about gaining mass) and as Peter Higgs et al. presumed it (he talked about gaining mass but never talked about photons or electron positron pairs as Higgs particles) and as it is needed in QED renormalization (Richard Feynman, Martinus Veltman, Gerard 't Hooft). Does the electron positron sea interfere with the sea of gluon pairs from QUATERNION GRAVITATION page 2? First, gluons do not react with electrons or positrons directly. Second, the gluon sea as well as the e- e+ sea are supposed to exist as fields of all possible velocities. When one field is going to get in motion relative to the other, nothing will change since both fields are velocity invariant and special relativistic invariant. Spin electron + spin positron = 1/2 + 1/2 = 1 and spin e- + spin e+ = -1/2 -1/2 = -1, this then is the photon as we observe it. I see two main paths how this can come to be. 1) The original QED renormalization theory is about electron positron pairs shielding the naked core of an electron or positron, due to electrostatic attraction and repulsion. In case of the electron, it talked about “the positron of a pair going a little nearer to the negative charged core and the electron going a little further away from the core”. This assumes interaction taking place, virtual photons going from the core to our pair. The different electron positron pairs of the shield are superpositions to each other, they don't see each other and don't react with each other at all. But the stages of the described separation process in 1 single e- e+ pair in its subsequent moments are all part of one single virtual process. Thus each subsequent extra photon from the core, coupling to our pair, diminishes the contribution of the matching Feynman diagram with a factor 10, see previous pages of this storyline. Therefore only the first photons coming in from the core give a significant contribution, resulting in only a small charge separation in an electron positron pair that appears in the shield. Anyway it seems clear the electron and the positron from one pair of the shield do absorb photons from the core. Each photon absorption swaps the spin of the e+ or e-. As soon as they are within their time borders and their spins happen to align, they become a spin 1 (or spin -1) photon and leave the electron at lightspeed. When energy is available the spin 1 photon becomes real, otherwise it stays virtual. 2) Two pairs appear simultaneous and all within their time borders. The spin up electron combines with the spin up positron, the spin down electron combines with the spin down positron and two photons of opposite spin leave the electron simultaneous. Does the core use spin 1 photons or spin 0 photons or both, to interact with the e- e+ pairs of the shield? Does it make any difference? The core does emit spin 0 photons, I see no reason why not. But the spin 0 photons are absorbed by the vacuum before they can reach the e- e+ pairs, in doing so enlarging the vacuum by their volume. So spin 1 photons it are. But wait, there is no energy available to create real spin 0 photons send from the core, they have to stay virtual. So the absorption from and enlarging of the vacuum must remain virtual too. It is difficult to judge, but let's go for the assumption that IF the core emits spin 0 photons, THEN the vacuum would absorb them before the e- e+ pairs do. 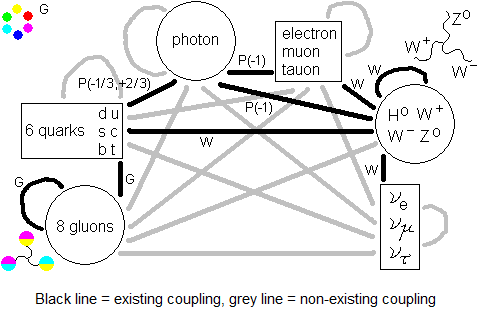 So interaction core to e- e+ pairs is by spin 1 photons only. Real electrons absorb from the Higgs field to gain mass. We suppose real electrons absorb a spin 0 electron positron pair from the vacuum, an electron-positron photon Higgs particle. This is the absorption from the Higgs field to gain mass. Similar to page 3 of NEWTON EINSTEIN KIEKENS GRAVITATION and page 2 of QUATERNION GRAVITATION, this results in a hole in the vacuum, and then the hole is filled in with the surrounding e- e+ vacuum pairs and cause gravitation. How many absorptions per second there are, for one electron, about 10^18 à 10^20, isn't it? What is the density of the e- e+ vacuum field? The wavefunction of the electron in the photon goes from A to B. The wavefunction of the positron in the photon goes from B to A. The resulting wavefunction is a standing wave. Its nodes, where the amplitude is zero, are standing-still in space. The amplitude of the crests in between go up and down to the summed-up value of the original wavefunctions. Any photon of a certain wavelength - gamma rays, visible light, radio signals - can be converted to any other photon (except for the polarization, phase and spin) by moving relative to it . You don't touch the photon, you only change your frame of reference. What if we do so with the composite? The wavefunction of e.g. the electron gains strength while that of the positron looses strength then. Still they do add up to the standing wave, now moving relative to us. The nodes move at constant speed now. How does this work out? Is the composite a particle? We defined its spin, but what about its elapse of time? The electron in the photon goes from A to B. The positron in the photon goes from B to A. Neither the electron nor the positron has entropic development during their photon flight. Besides, according to SR time is standing still on the photon, the photon has a first moment but not a second moment. So yes, the composite just is the photon and the photon is a particle. IF this is the photon, existing from two components, THEN it brings it more in line with the gluon, with its upper and lower color. If this is the photon, then also the gluon might consist of a quark and an antiquark, massless coinciding. The spin-story would be the same. The electric charges would cancel likewise. If the taste of a quark is u, then the taste of its antiquark must be anti-u, and u and anti-u should cancel then to zero taste. See more about this in paragraph Meson exchange and Four quarks in the shell at page 5 of the storyline NET FORCES IN QCD. Summarizing, two Higgs fields are assumed then: an electron positron photon field for leptons and a quark antiquark gluon field for hadrons. Scientific American june 1980, Gerard 't Hooft, Gauge theories of the forces between elementary particles. 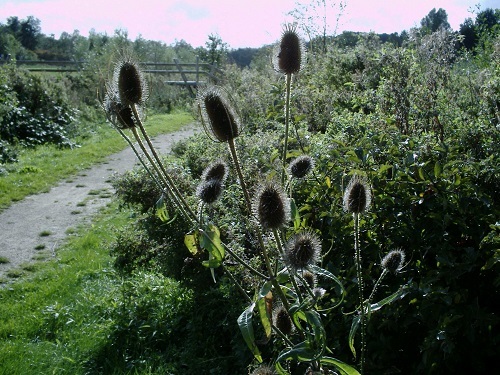 It looks like a teasel, isn't it?